Music has been a precious healer of Luke’s heart ever since he remembers breaking out the moves to Jimmy Cliff reggae riffs as a young child. He received his first guitar at 8 years of age, and took lessons for a short time without much progress. Four years later Luke began an intense 3 year period of guitar lessons, honing his craft as an understudy to Mike Page, a well respected guitarist and songwriter in Prince Edward Island. At 15 years of age Luke began writing songs of his own. Since then his technique has truly blossomed. He is now a well-rounded and experienced singer and musician, playing the guitar, bass, banjo and harmonica. HIs melodic finger picking and strumming are complemented perfectly by majestic and lilting vocals, creating goose bumps for those listening. 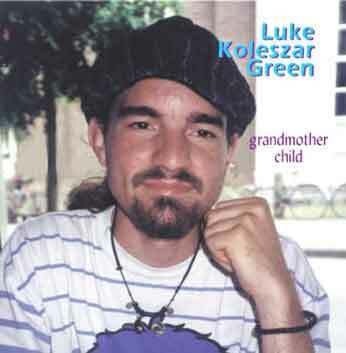 Luke’s deep love of music inspires and informs his professional massage therapy practice. 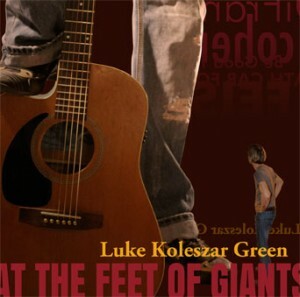 If you are interested in being notified about Luke’s upcoming open mic appearances, would like to book a house concert, or purchase an album, contact me directly at lukekoleszargreen@icloud.com. At the Feet of Giants is a collection of 12 cover tracks; songs that have inspired him over the past couple of years in musical journey. Artists include: Ani DiFranco, Be Good Tanyas, Sarah Harmer, Death Cab for Cutie, Justin Rutledge, Paul Simon, Neil Young, Wintersleep, Feist, Jory Nash, Dar Williams and Leonard Cohen. Dedicated to the memory of Helen Lazier, his grandmother.